I use my microwave primarily for reheating or melting butter or chocolate, not much actual cooking. 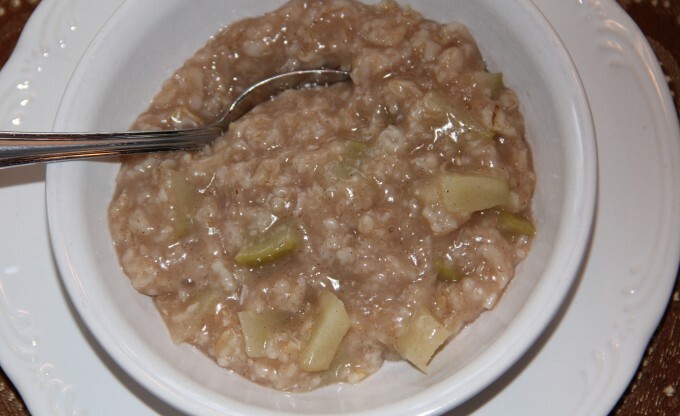 But oatmeal is a perfect fit for the microwave, especially when you add chunks of fresh apple. This recipe is so simple and it’s quick too—perfect for the morning rush. It only takes a few minutes longer than the instant oatmeal packs that are loaded with sugar and don’t taste nearly as good. You don’t even need to peel the apple. Just cut down each side around the core and chop into about 1/2 inch pieces. 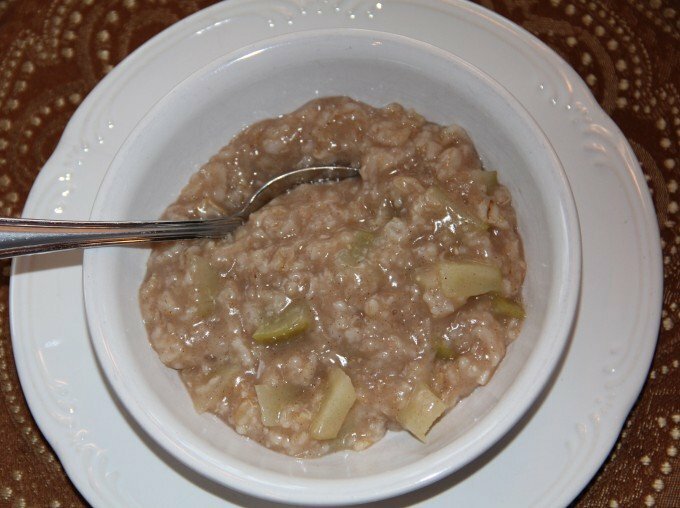 In a large bowl, add the oats, 1/2 teaspoon ground cinnamon, 1 tablespoon brown sugar, a good pinch of kosher salt and 2 cups water. Stir in the apples and cover the bowl with plastic wrap. Cook for 4 minutes, then stir. Cook 2-3 more minutes, stirring after each minute. If you don’t stop and stir after each minute, the oatmeal may quickly boil over in your microwave making a huge mess. Don’t ask me how I know…just trust me. 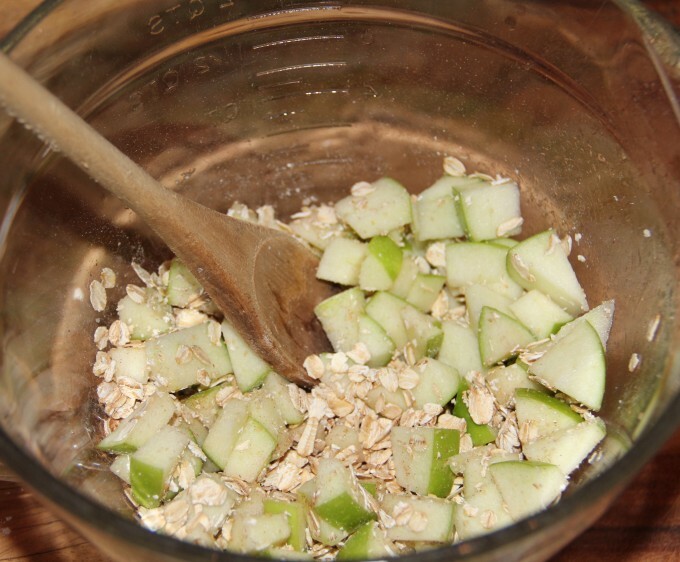 It takes 6-8 minutes total for the oats to absorb the water and apples to become tender. Spoon into serving bowls and top with the chopped nuts. Enjoy! 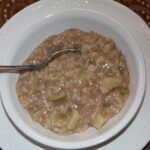 A microwave oatmeal recipe chock full of goodness with fresh apples, walnuts and just a hint of brown sugar. Stir together oats, cinnamon, brown sugar, salt and water in a large bowl. Add apple and mix well. Cover tightly and microwave for 4 minutes. Stir. Cover again and microwave for 1 minute at a time, stirring after each minute. Cook for 6-8 minutes total, until most of the water is absorbed and the apples are tender. Spoon into serving bowls and top with chopped nuts.